Activity Packed Destinations for the Whole Family! Every year, school kids get at least 13 weeks of holidays. That’s 65 days of the year that need filling, on top of weekends and bank holidays. Luckily, there’s an entire world of exciting destinations with equally thrilling things to see and do to keep the kids entertained! So if you’d like some inspiration on where to go on your next family holiday, cast your eyes over our top 10 suggestions below. 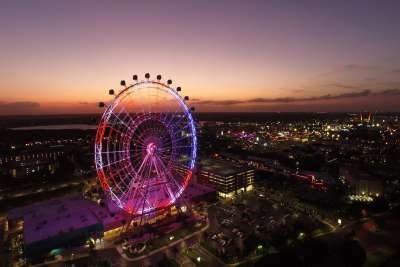 When it comes to holidays that are fun for the whole family, nowhere captures the imagination quite like Orlando, Florida. Of course, there’s Walt Disney World, which is the most-visited theme park in the world. But there’s a plethora of other theme parks, as well as multiple museums and a science centre. Plus, just outside of Orlando lie Florida’s beaches. We’re not saying it’s the ultimate family holiday destination, but we’re not not saying it, either. If you’re looking for a theme park adventure a little closer to home than Orlando, Salou might just be for you. 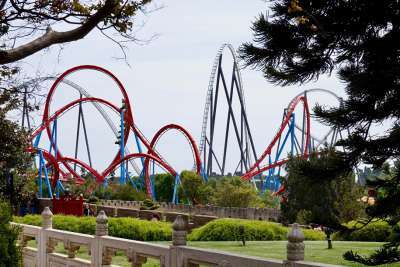 As well as a 1.2-kilometre stretch of beach, it’s also got a pretty thrilling theme park of its own, Portaventura. While one theme park (Europe’s biggest) will never rival Orlando’s more-than-a-dozen, it’s a great short-haul destination for rollercoasters and sunshine. There’s also a waterpark, Aquapolis and, unlike landlocked Orlando, Salou is perched right on the beach. 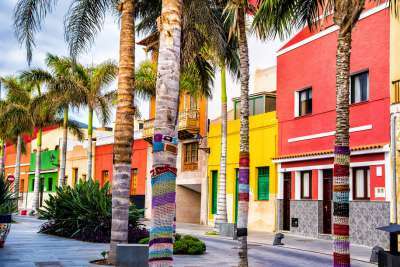 One of the brilliant perks of a holiday to Tenerife is its proximity to the UK - it’s only about a four-hour flight from our often-grey island, to the sun-drenched Canary. In our experience, kids never say ‘no’ to some waterpark fun, and Tenerife just happens to boast Siam Park – which TripAdvisor rated as the best in the world! This Thailand-themed waterpark is reason enough to visit alone, but we’d also head there for the island’s swathe of beaches, submarine safaris, and the plethora of Brit-friendly food options. Surprising though it may seem, Dubai is incredibly family friendly. When it comes to destinations that rival Orlando for the sheer number and scale of things to see and do, Dubai would be right up there. 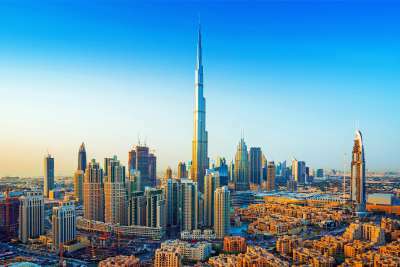 For a start, the Burj Khalifa will inspire the awe of even the most cynical – the 828-metre skyscraper is as impressive from the ground as it is from its viewing deck. There are also plenty of theme parks – Legoland, Motiongate (a Hollywood-themed park), IMG Worlds of Adventure (a space the size of 28 football fields with rides, live stage shows, movie screens and more), VR gaming experiences, a waterpark, and much more. Dubai does big better than anywhere in the world, and its family-friendly offerings truly prove this! 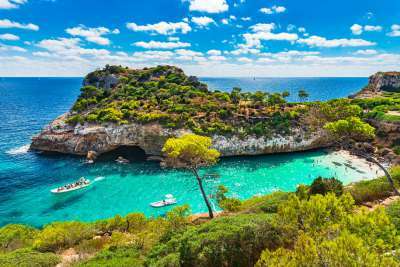 Safe and clean, with calm beaches, and kid-friendly hotels, Majorca never goes out of fashion when it comes to family holidays. There are loads of all inclusive resorts, meaning you won’t need to ever leave the complex (unless you want to, of course!). The family fun doesn’t stop on the doorstep of your resort, though! Majorca is home to three waterparks: Hidropark, Western Waterpark, and Aqualand. If you don’t want to venture too far from the beach, though, inflatable waterparks, floating off-shore, are popping up all around Majorca’s coastline. Looking for a cheap family holiday? Look no further than Bulgaria’s Sunny Beach! This resort on the picturesque Black Sea is becoming increasingly popular among British holidaymakers, thanks to its long, wide sandy beach, all inclusive resorts, and, obviously, its sun! There’s also two mighty impressive waterparks: Aqua Paradise & Action Aquapark. But dotted around the town are also playgrounds, inflatable slides and mini-fairgrounds. Plus many restaurants offer jumping castles and playgrounds to keep the kids entertained while you feast. Yes, Bali is bit further away than European and even American destinations. But, we can attest, the long-haul journey is more than worth it. The Balinese love children, so your little one is set to be treated like royalty. You’ll struggle to find a resort without a pool, and the streets are lined with friendly peddlers selling toys, games and inflatable goodies to take in the water. One of the main draws here is Waterbomb Bali - the number one water park in Asia! 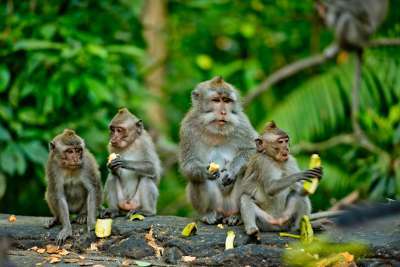 The kids will also love the monkey forest in Ubud, and many resorts have kids’ clubs, too. Rhodes may be known for its party-hard lifestyle, but it’s also a ripper holiday destination for families. There’s Blue Flag beaches, sunshine and the requisite water park. It’s also packed with historical sites for families who like a bit of learning on top of a bit of beach! There’s the ruins of several acropolis, the ancient town of Kamiros, and even a palace. 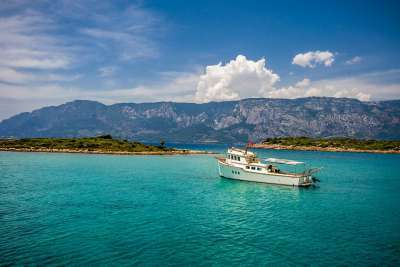 It’s super Brit-friendly, and the amazing Greek food also makes this one of our favourite Greek islands!